A residential complex on the southern coast of Faro, Portugal. 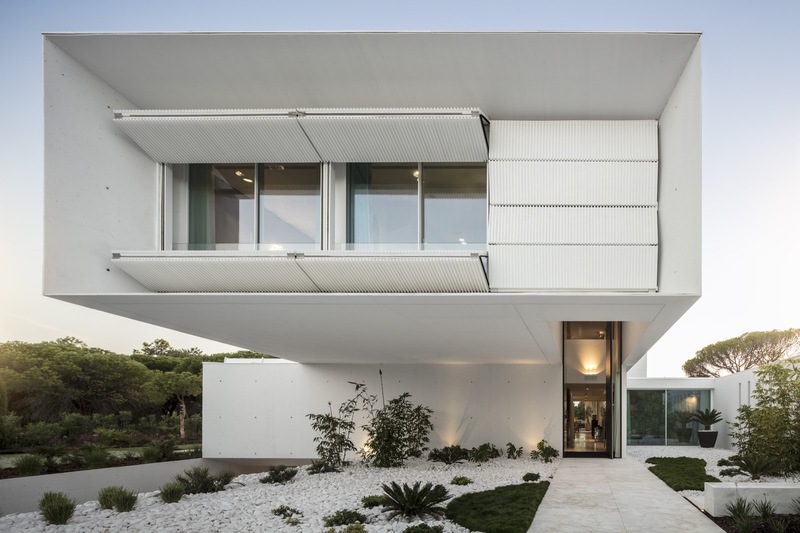 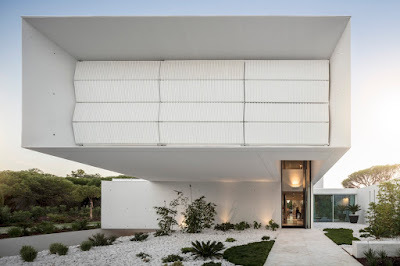 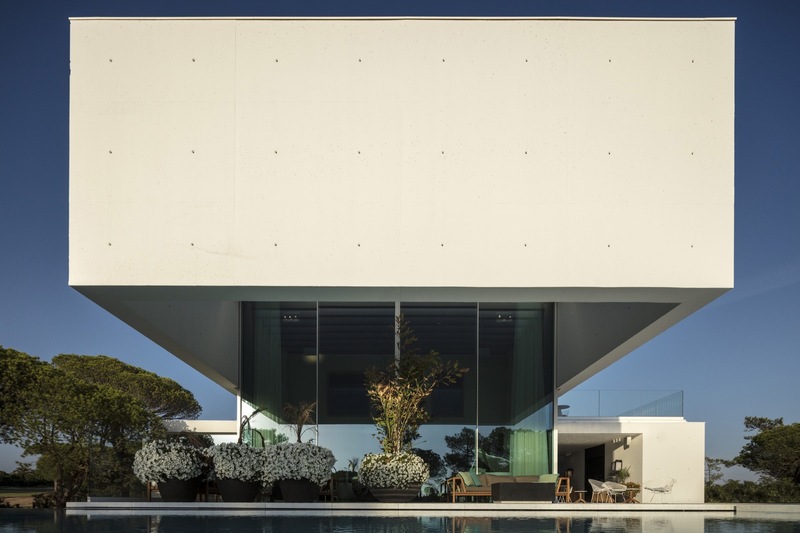 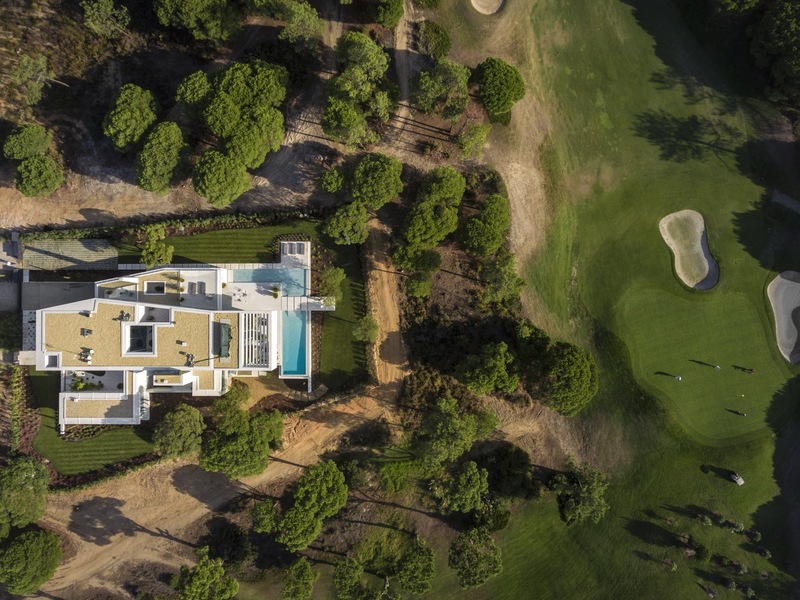 The QL House is located in one of the most exclusive areas of Algarve, on the Portuguese southern coast, a singular presence in an essentially residential neighborhood. 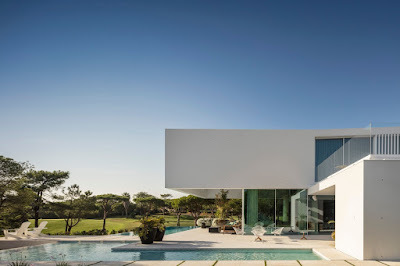 From where it was erected it is possible to see captivating surroundings: golf courses, residences, the estuary and, dominating the background, the Atlantic Ocean. 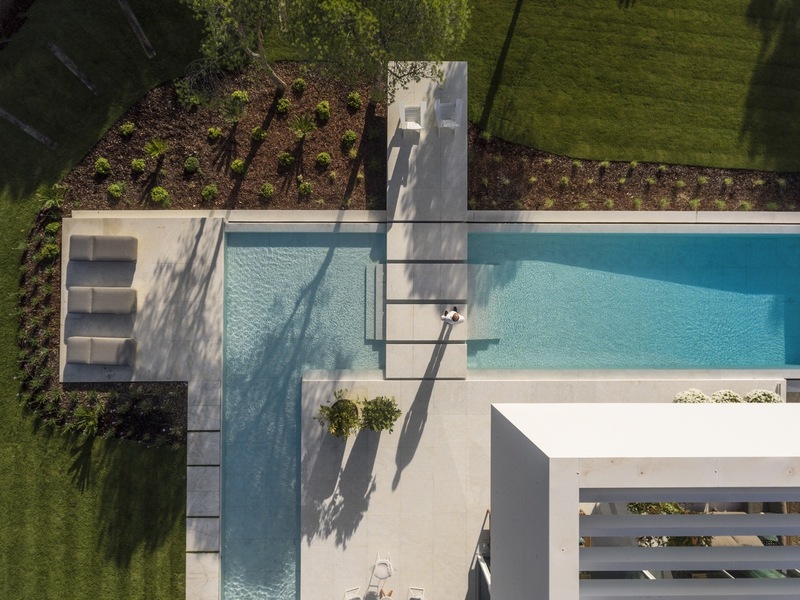 The QL House project was an exercise in balancing spaces and landscape integration. 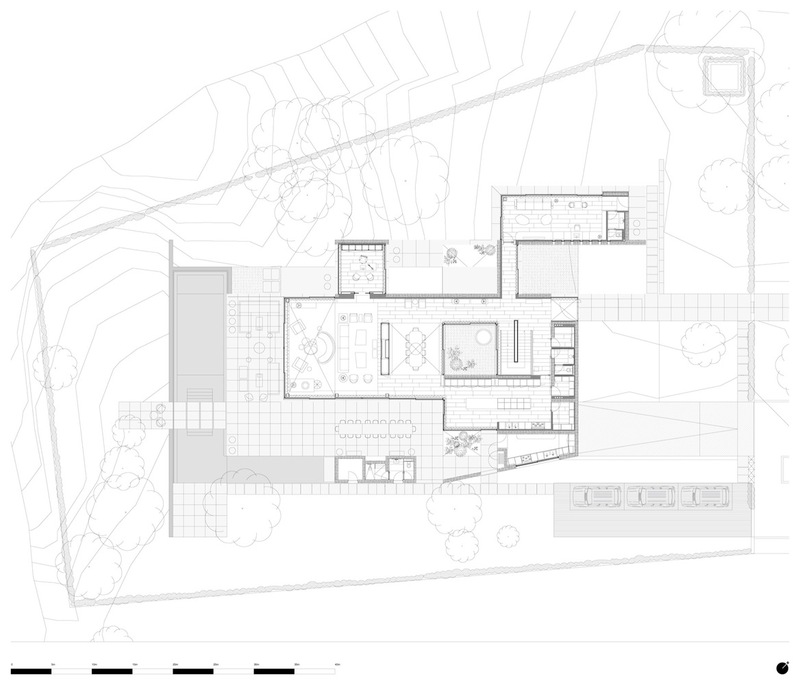 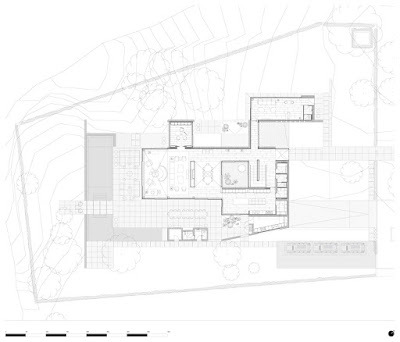 The articulation of two overlapping and perpendicular spaces generated not only a particular spacial dynamic, but also different visual relations between full and empty, light and dark - caused by the dynamic of shadows - between private areas, semi-private areas and the view of the surrounding landscape.